So, you’d decided Spanish is the language your family will learn? But You are not sure where to start, what to teach and what curriculum to use! I take care of that, so YOU the parent, can give your homeschooler the Spanish skills needed to speak. Want to know what your teen needs to know the first year of Spanish? A strong foundation is vital for the next level! Yes, I want to know! Send me the checklist! 12 topic ideas to start learning Spanish at an early age with the whole family! No more confusion about what to teach. Yes send me the topics! I want to save time. Just like many of my students I had to learn a second language when I was young. I understand the fear and the insecurities of speaking a second language. When I think back how I overcame the fear of speaking because I had a very strong accent (I still have one!) I can think about my English teachers. They were very supportive and understood what I needed so I can pursue my college education and become bilingual. Today, I realized my accent was not a weakness but an asset because it showed that I could speak two languages! Maybe my own foreign language experience made me wanted to be a Spanish teacher, regardless, I am so thankful I became one! For 16 years, I had the most amazing opportunity to teach for one of the major school districts in Virginia, Fairfax County Public School. I taught IB Spanish and Immersion. 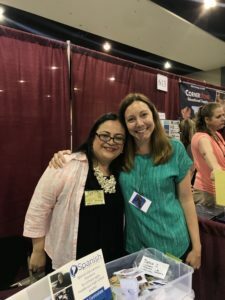 In 2014, I started working with the homeschool community teaching homeschoolers and helping homeschool parents navigate the foreign language aspect of homeschooling. As a homeschool mother myself, I know how important is to find subject experts to help us educate our children in subjects we are not experts because we do not want to hold our children back. OR even better “I went on a mission trip to Guatemala and I was able to translate” OR “During the summer, I went to Nicaragua to help in a hospital and I was able to speak with the staff” o.k at this point I want to cry! In 2014, I decided to go back to school and work on my master’s degree. 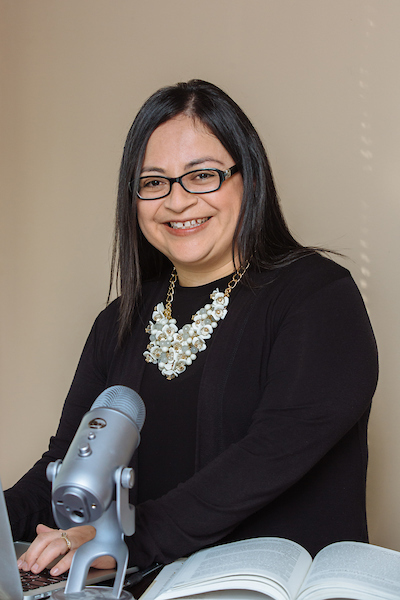 I wanted to take my teaching to the next level because I wanted to help more parents and students, I knew I had to integrate technology in my teaching and I saw the possibility to be able to reach more students using the online platform. 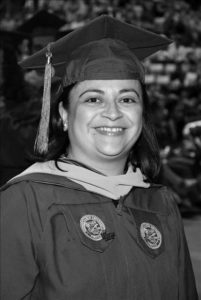 I received my master’s from George Mason University with a concentration in Online learning and Curriculum and Instruction. Since then, I have been able to teach students from all over the country, Texas, Idaho, Oregon, Tennessee, Alaska, California, and Virginia. My vision is to help YOU the parent educate bilingual children. I want to help you replace study time with more speaking time! Do not get me wrong! Studying is great but the goal of studying a language is to speak it. The #1 regret parents share with me over and over is how they study Spanish but never spoke it. I want to help you change that with my online programs. Looking for free Spanish lessons and resources? 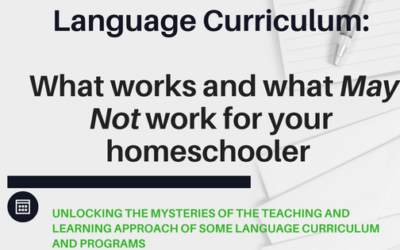 Looking for a community of homeschool parents who wants to educate bilingual children? Introducing my online K-12th programs for the whole family! Where teaching, learning, and technology meet so your whole family can learn to speak Spanish. I do the planning, the teaching, and curriculum so your family can do the learning and speaking! Spanish For Elementary Ages for the Homeschool family! You are not sure where to start? What to learn? How to learn it? Check out my elementary program! The whole family can start today to speak Spanish. The program introduces Spanish to young minds at an early age through fun topics and using complete sentences! ALL in one place, step by step! Step by step program- full curriculum with weekly speaking and presentational interactive online group classes. This is an excellent choice for the parents looking to make learning Spanish part of their core curriculum. Students learn and speak Spanish through fun topic lessons and learning tools. Daily practice is required for students to be able to participate and interact effectively in class. The following courses are aimed for 7th-12th students. Every course is designed to promote communication skills and prepare students for college-level courses and beyond. This course introduces the fundamental elements of the Spanish language. It will give your student the knowledge and skills they need to be able to put the language together and start communicating in Spanish through everyday situations. The conversational classes are 100% to accelerate learning and speaking skills. Exploration of the culture is part of the learning journey. When comes to proficiency, the course aims for students to move from novice low level to novice mid-high level. Depending on the student’s language, study and practice skills. This self-study course is excellent for busy students who need flexibility and cannot attend conversational classes but as the parent, you also still are looking for some level of support and guidance. This course introduces the fundamental elements of the Spanish language. It will give your student the knowledge and skills they need to be able to put the language together and start communicating in Spanish through everyday situations. Exploration of the culture is part of the learning journey. The aim of the course is to move students from novice low to novice mid-high in their proficiency skills. Depending on the student’s language, study and practice skills. Parents are encouraged to find opportunities for their teens to practice speaking Spanish throughout learning to make the course study practical. In addition, this is an excellent alternative for Homeschool Co-Ops that do not have a certified Spanish teacher to teach the class. Email me for more information! The course teaches students how to keep building upon the Spanish 1 skills. New tenses are introduced and new vocabulary. Students communicate using more complex ideas and producing a higher level of proficiency using every skill: listening, reading, writing, speaking and interactive. Exploration of the culture is part of the learning journey. When comes to proficiency, the course aims for students to move from a novice level to novice high to intermediate mid-high level. Depending on the students’ current skills, study and practice skills. The course teaches students how to keep building upon the Spanish 1 skills. New tenses are introduced and new vocabulary. Students will have the tools and strategies needed to communicate using more complex ideas and producing a higher level of proficiency using every skill: listening, reading, writing, speaking. Exploration of the culture is part of the learning journey. When comes to proficiency, the course aims for students to move from a novice level to novice high to intermediate mid-high level. Depending on the students’ current skills, study and practice skills. Parents are encouraged to find opportunities for their teens to practice speaking Spanish throughout learning to make the course study practical. In addition, this is an excellent alternative for Homeschool Co-Ops that do not have a certified Spanish teacher to teach the class. Email me for more information! Coming Soon! Join the waitlist! This online class will continue building upon the Spanish 1 & 2 foundation. Students will review previous tenses such as present, past, commands and be introduced to more advanced tenses. Students are expected to use more complex ideas and produce a higher level of proficiency by writing, speaking, interacting with teacher and classmates during the week. Students are required to use the language every day, read, listen and watch Spanish authentic material. 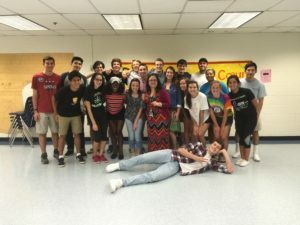 Hispanic literature, art and culture exploration are part of the course. When comes to proficiency, the course aims for students to move from novice high-intermediate low to intermediate Mid-high- Advanced Low. Homeschool Parent! Do you feel in the dark when comes to Spanish for your teen? Is your teen planning to start learning Spanish this coming school year? Let’s talk about Spanish 1 level on how to prepare your teen for a successful school year! This workshop is an excellent opportunity for you and your teen. Mapping out your Child's Spanish language Journey for Elementary Years: The why? What? How? Learn key principles to plan the why what and how for a Spanish curriculum and elementary years. Is your child in middle or high school and ready to tackle her or his language credits? As a Spanish certified teacher and homeschool mother I will say the following: The earlier a student starts learning the language the easier will be to acquire the language skills he/she needs to learn it.